Material handling is the movement, storage, control, and protection of materials, goods, and products throughout the process of manufacturing, distribution, consumption and disposal. The focus is on the methods, mechanical equipment, systems and related controls used to achieve these functions. 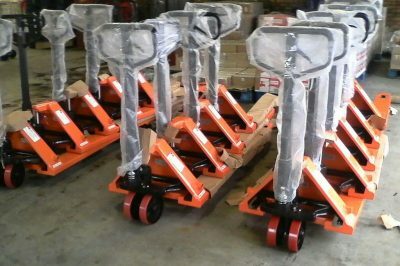 Arizona Warehouse Equipment and Shelving Company can provide the optimal material handling tools and systems for your needs, including pallet jacks. Material handling systems are available new or used. For additional information or assistance with your warehouse equipment, material handling, and pallet jack needs, please contact us or request a quote.